Christmas in London is a magical experience that brings people from all corners of the world together. As the festive season approaches, the city’s famous Hyde Park will be gearing up for the event of the year, Winter Wonderland. 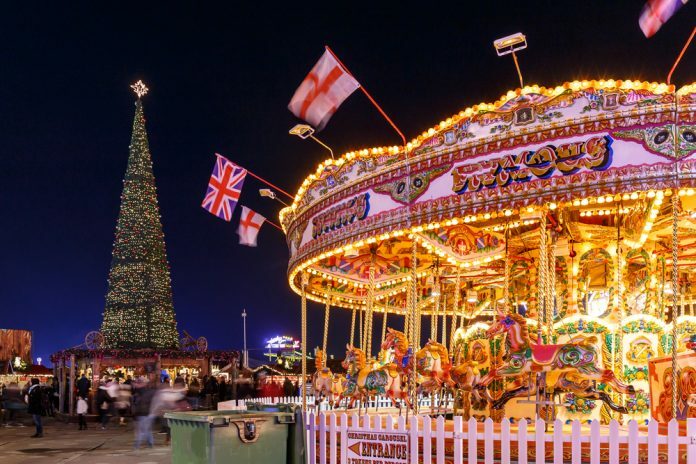 For anyone that has never experienced it, Winter Wonderland is an event set up in Hyde Park over the Christmas holidays. Many of our guests at the Park Grand London Hyde Park make it their top priority to visit so we’ve put together a list of things to do and enjoy as you explore this year. Every year, Winter Wonderland sets up a huge ice rink and gives visitors a chance to have fun and glide through one of the most beautiful areas in London. You don’t need to be a pro skater to enjoy swishing along the ice and laughing with friends as you try to keep your balance. This is a great opportunity for families staying at the Hyde Park Hotel to have fun with the kids and try something new together. Watch in amazement as the acrobats and performers of Zippos Circus bound around, flipping and twisting in a show that will keep you captivated all afternoon. The amazing sets and colourful characters in Zippos Circus will keep your kids laughing along and will provide you with plenty of amazing photo and video opportunities. The show includes acrobats, singing, dancing and magical illusions which will baffle and amaze you. There is plenty to see at Winter Wonderland but if you’re visiting the Hyde Park Hotel this season, be sure to check out Zippos Circus. 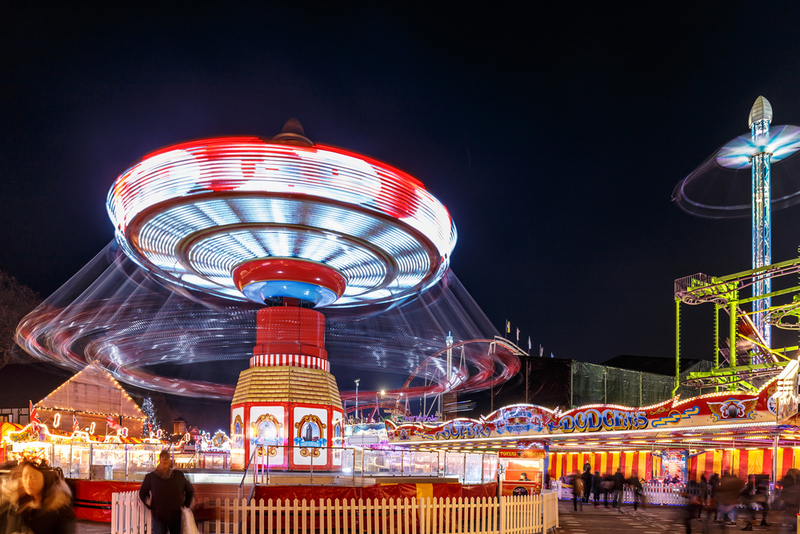 Among the many other attractions being set up at Winter Wonderland, there will be a fairground full of thrilling rides and exciting attractions for kids and adults. Explore the bright lights of the fairground and discover rides like the Munich Looping, which is the largest portable roller coaster in the world. Winter Wonderland will also host a beautiful classic carousel which is a perfect way for couples to spend a magical evening date together. The huge Christmas market at Winter Wonderland is one of the main reasons so many people visit every year. With over 200 stalls, you’ll discover all kinds of hidden treasures and amazing gifts. Explore the offerings and experience the delicious tastes and smells of the street food vendors that dish out some of the best flavours from cultures around the world. If you’re looking to do a bit of Christmas shopping this year, you’ll find everything from hats and scarfs to handmade trinkets that would make perfect stocking fillers. This year will see the return of St Nick to Winter Wonderland, which is great news for anyone travelling to London with kids. Bring your little ones along and watch their faces light up as they meet Santa Claus and tell him the list of gifts they’re hoping for. The beautiful setting will make your youngsters feel like they have travelled all the way to the North Pole. Share the post "Top Activities To Enjoy At Winter Wonderland This Year"